1. Mainly used in paints and coatings industry. It can be used to make alkyd resin coating, and improve the rigidity, lustrousness and durability of the coating. 2. Used as adhesive in flame retardants, to make intumescent coatings fire retardant with APP. 3. Used as cross-linking agent in PU. 4. Used as materials in color and colorless paintings, printing ink industry. 5. The aliphatic ester of Pentaerythritol is high efficient lubricant, its epoxides is main material of surface active agent. 6. 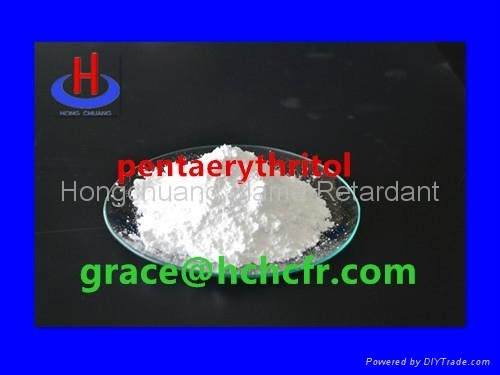 Pentaerythritol can easily complexed with metals; it can be used as a material of softener. 7 It can also be used in Pharmaceuticals and farm chemical industry.